Please view our Delivery Zone Guide below for full delivery and minimum order information for the U.K. and Ireland. *Subject to weather conditions and ferry times. For orders below the minimum order value, we can still deliver but the full cost of carriage will be added to your invoice. Zone 1 - additional £15.00+vat will be added to your order invoice total. Zone(s) 2 + 3 - additional £45.00+vat will be added to your order invoice total. 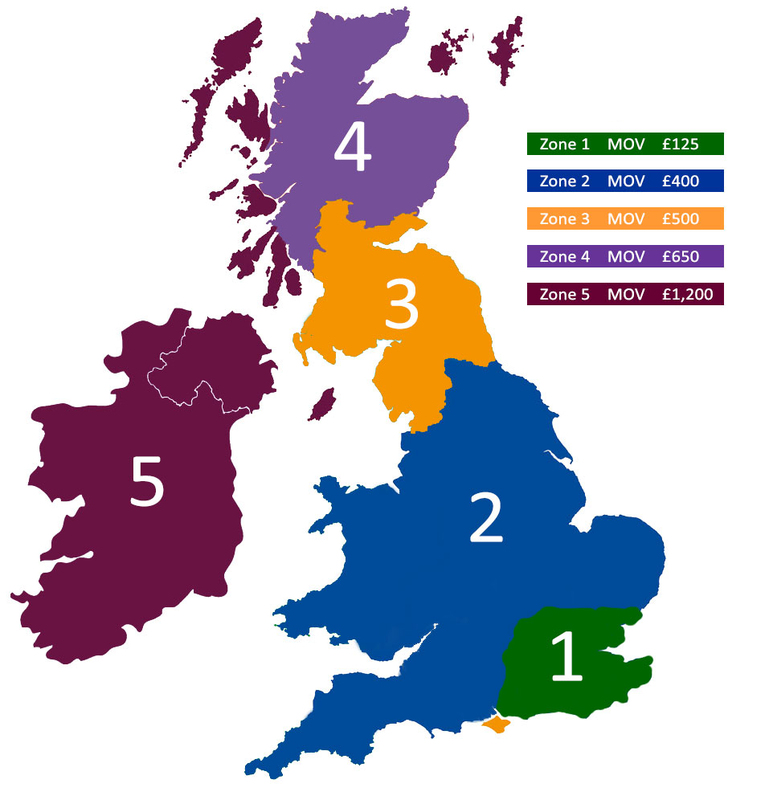 Zone 4 - additional £70.00+vat will be added to your invoice total. Zone 5 - additional £125.00+vat will be added to your invoice total.